Senator Jim Webb introduced a congressional bill to establish the National Criminal Justice Commission on March 26, 2009. That bill has wide support, and upon its passage, it will create a commission to study the criminal justice system and reform the process. The commission will pay particularly close attention to the prison system. After 18 months, it will deliver a report to Congress with its findings and recommendations for prison reform. The federal prisoners with whom I serve time at Taft Camp were disappointed when they read the bill. Most of those prisoners are serving relatively short sentences. They expected Senator Webb to introduce legislation that would initiate immediate prison reform. Instead, Senator Webb initiated a process that is much more comprehensive, and will last at least 18 months. Once the commission presents its findings to Congress, in the fall of 2010, many of the prisoners at Taft Camp will have completed their sentences. Thus they feel disappointed that the prison reform coming will not offer them relief. I am much more optimistic than many of my fellow prisoners. My optimism persists because I expect Senator Webb’s National Criminal Justice Act of 2009 will lead to significant prison reform, even if it does not advance my release date by a single day. I have nearly 22 years of prison behind me for a nonviolent drug offense. This commission shall make recommendations for policy changes designed to reduce the incarceration rate, decrease prison violence, and establish meaningful re-entry programs. Although I am nearly finished serving my sentence, I look forward to seeing prison reform that will ensure future nonviolent offenders don’t languish so many decades in American prisons. If this act results in a report to Congress in the fall of 2010, the meaningful prison reform legislation that will follow may not take place until the 112th Congress, in 2011. The relief to prisoners, then, may only apply to those with release dates currently schedule for 2012 or beyond. From what I was able to deduce from reading Senator Webb’s bill, nonviolent offenders who have release dates after 2012 will see relief, and I suspect it will be significant. Those who have earlier release dates may not go home any sooner as a result of this reform legislation. I am optimistic, however, because although this bill has a long lead time, it does not preclude other prison reform legislation from moving forward. Our country is in crisis, and news reports show that the cost of incarcerating nonviolent offenders cripples many budgets. We may yet see prison reform legislation that helps those in prison today. I am conditioned to the prison experience. This development by Senator Jim Webb and others encourages me. 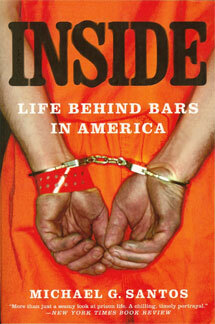 I will work hard to advance the concept of prison reform regardless of whether my own release date changes.